 Discover The Highlights Of The Month For Taurus! As Jupiter has long settled in your relationship sector and is currently guiding your partnership, you should focus on your relationships. Single Taureans are very likely to finally find their lifetime match, while those in a relationship can expect it to be utterly flawless. You will discover an unprecedented level of commitment to your partner. Moreover, you can also be sure that it will be reciprocal. Your union will simply work, full stop. Near the end of the month, you’ll feel a different urge – a desire to make a performance or to speak in front of an audience. Technology can help you fulfill this desire in a much easier way – start a YouTube channel or increase your online presence in any way you find preferable. Set the tone for the whole day – ideas for Taurus!